New Online Viewer for winplan++ online – Another Important Plus! 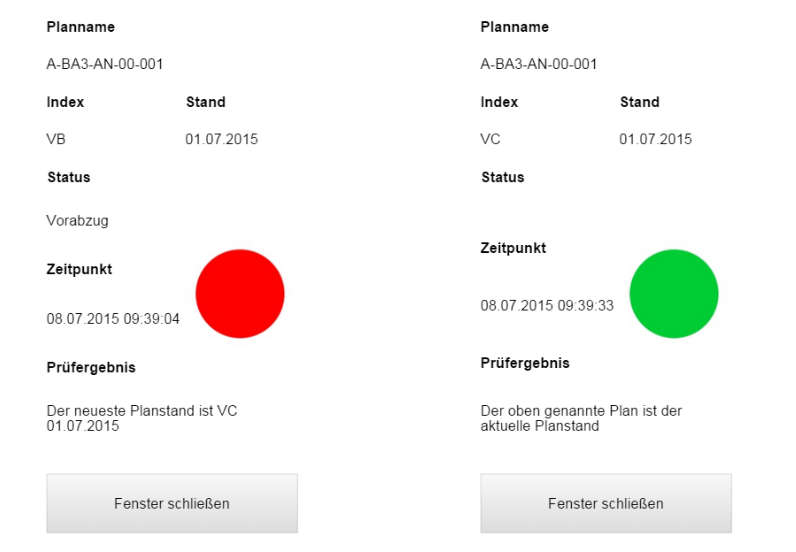 Users of our project communication system winplan++ online now benefit from another advantage when they want to quickly and easily view current plan data: Our new Online Viewer provides a clear overview of the differences between various plan versions. Elements that have been added are displayed in blue, whereas elements that have been deleted are shown in red – this can be selected for each plan version individually. 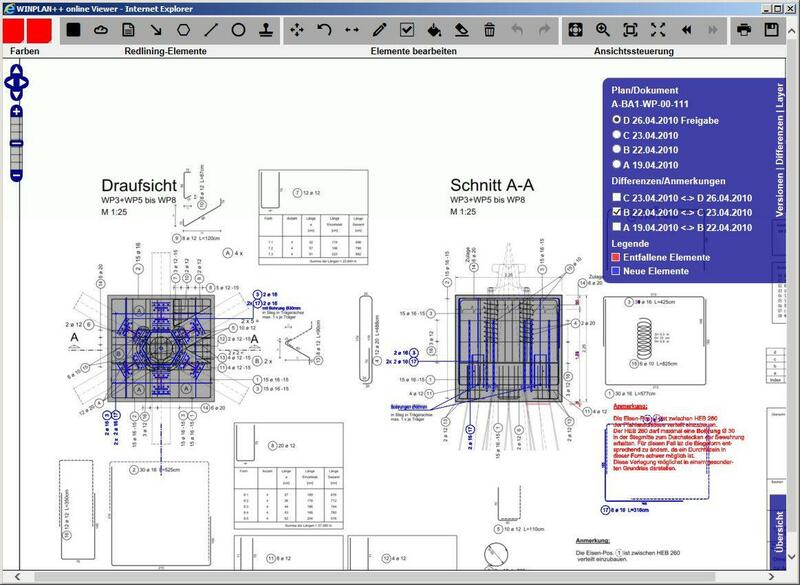 The Online Viewer supports the display of PDF, PLT, DWG and other file formats in the browser without the need for any additional installations! Furthermore, winplan users can use the Redlining feature (for highlighting specific plan details) and make annotations using clouds and other graphical elements as well as text and freely definable stamps in different colors. To improve readability and clarity, the annotations made by different users are placed on different layers. Any changes made in the plan will be transferred back to the corresponding PDF file and saved. Of course, NetzWerkPlan´s latest tool also has a print feature. NetzWerkPlan is one of the first suppliers providing such a powerful Online Viewer built completely on the basis of state-of-the-art browser technology without the need of installing any additional plugins (e.g. Active-X, Java). This is why our Viewer can run immediately on any platform. Another important advantage for winplan++ online!